Provide comfort for the family of Joan Linklater with a meaningful gesture of sympathy. Born August 29, 1930, Sydney, Australia – February 7, 2019 Toronto, Canada. Cherished wife of the late Gordon Douglas Linklater (2013). Missed by sister-in-law Reita Linklater, brother-in-law Bryce Linklater, nieces, nephews and many family members in Australia. Predeceased by brother-in-law Harold (Nora) Linklater, Ken Linklater and sister-in-law Alma Linklater. Joan began her early career as an Air Hostess with Trans Australia Airlines from 1950 – 1955. She then traveled by ship to London, U.K., where with other girlfriends she was again employed as an Air Hostess traveling to Europe, Africa and the Far East. In 1960 she travelled alone to Canada as a tourist and ultimately met her husband Gordon in Toronto where they were married in 1963. Joan pursued a marketing career until retirement in 1980. As a couple they both had an ardent interest in the Toronto Symphony concerts and the theatre at Stratford, Ontario, Niagara-on-the Lake, New York and London UK. They continued to travel together to Australia, the Far East and Europe until illness curtailed their activities. Private family funeral arrangements entrusted to the Davey-Linklater Funeral Home, 757 Princes St., Kincardine, On, N2Z-1Z5, (519) 396-2701. Memorial donations to the Alzheimer Society or a charity of your choice would be appreciated as expression of sympathy. To send flowers in memory of Joan Margaret Linklater (Cochrane), please visit our Heartfelt Sympathies Store. Donations are being accepted for: ALZHEIMER SOCIETY OF GREY-BRUCE INC.. 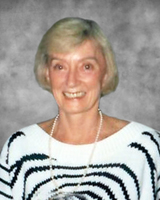 Provide comfort for the family of Joan Margaret Linklater (Cochrane) by sending flowers. Sincere condolences to all the family. I met Joan when I moved to Toronto in the 70s. Joan was a great tennis player and was very competitive. Joan was also a great chef, her cooking was exquisite. I will always remember Joan and I will miss Joan - a wonderful friend.